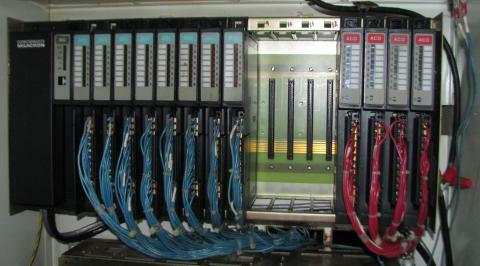 Cincinnati Milacron designed a wide variety of I/O modules to fit the “Acramatic 850″ MIA (Machine Interface Assembly) racks. We’ve never found a list of known Cincinnati part numbers, so maybe you will find this a handy reference. M2MT is unlikely to support the following less common modules, as there are probably better ways to implement these interfaces. These are all the modules we know about! If we’ve missed anything, please let us know.